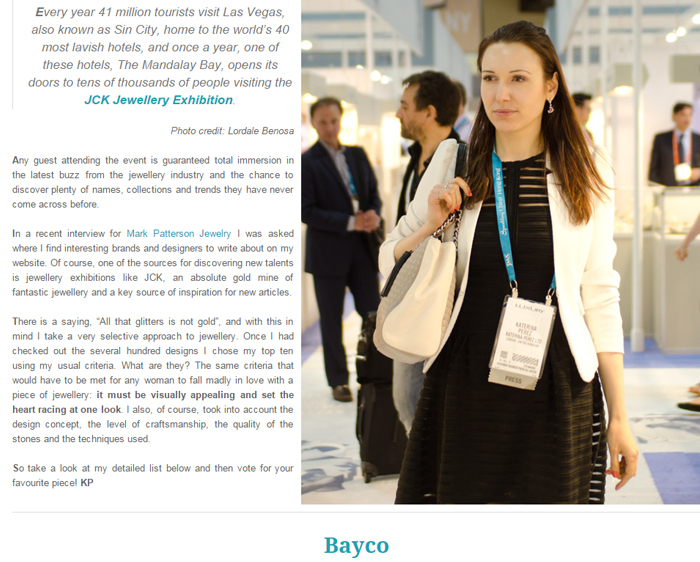 Every year 41 million tourists visit Las Vegas, also known as Sin City, home to the world’s 40 most lavish hotels, and once a year, one of these hotels, The Mandalay Bay, opens its doors to tens of thousands of people visiting the JCK Jewellery Exhibition. Any guest attending the event is guaranteed total immersion in the latest buzz from the jewellery industry and the chance to discover plenty of names, collections and trends they have never come across before. In a recent interview for Mark Patterson Jewelry I was asked where I find interesting brands and designers to write about on my website. 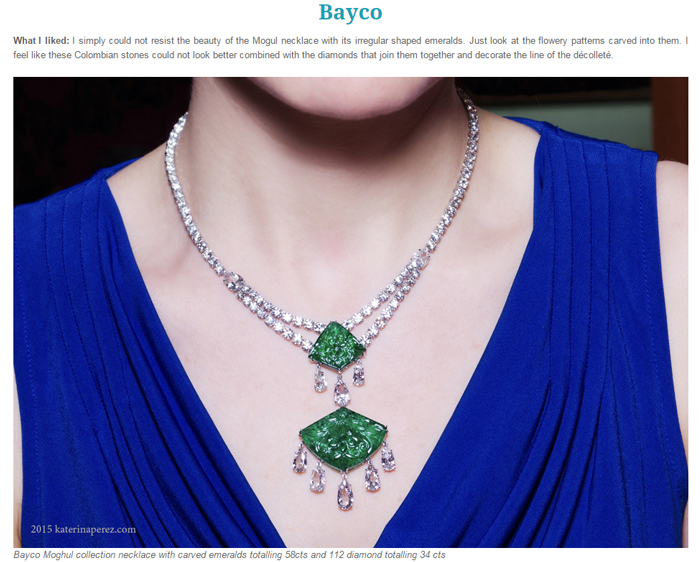 Of course, one of the sources for discovering new talents is jewellery exhibitions like JCK, an absolute gold mine of fantastic jewellery and a key source of inspiration for new articles. There is a saying, “All that glitters is not gold”, and with this in mind I take a very selective approach to jewellery. Once I had checked out the several hundred designs I chose my top ten using my usual criteria. What are they? The same criteria that would have to be met for any woman to fall madly in love with a piece of jewellery: it must be visually appealing and set the heart racing at one look. I also, of course, took into account the design concept, the level of craftsmanship, the quality of the stones and the techniques used.